How Students, Parents, and Teachers Can Make Practicing More Effective. Educational Piano Library. Instruction, Teacher Resource. Softcover. 112 pages. Published by Hal Leonard (HL.296801). ISBN 142348942X. 8.5x11 inches. Nancy O'Neill Breth. 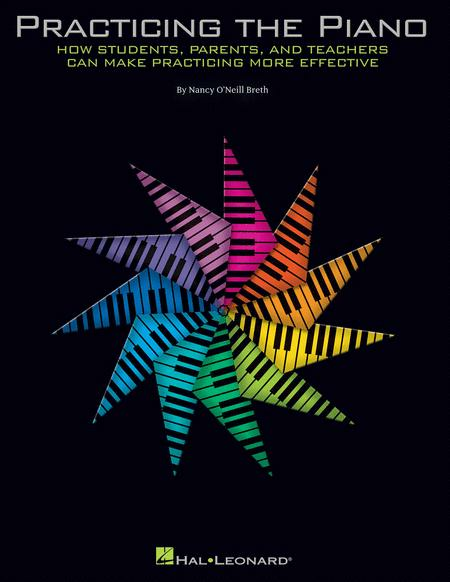 In Practicing the Piano, Nancy O'Neill Breth offers a broad selection of practice tips with musical examples to help students of all ages find imaginative solutions to pianistic problems. The book explores how to: organize practice time; map music before practicing to uncover the musical terrain that lies ahead; use practice time effectively from the first reading through performance; develop fluency with accuracy; polish and memorize a piece; and lay the foundation for confident performance. Practicing the Piano is a handbook of practice techniques. Teachers can use it to reinforce and augment their own ideas on practicing. Parents will find a wealth of ideas for guiding their children's practice sessions. Students young and old will discover how to make each practice session count. Using the book's wide range of practice tips not only improves a pianist's skills, but also adds adventure and enjoyment to the process of mastering a piece.